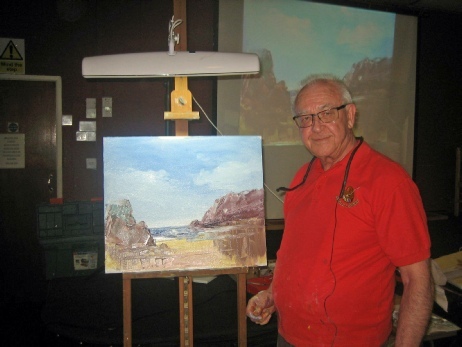 After a warm welcome from the Society, Arnold entertained and thrilled the members with a demonstration of painting with pallete knives; He took time to explain the difference between mixing an painting knives, as well as explaining his way of working. 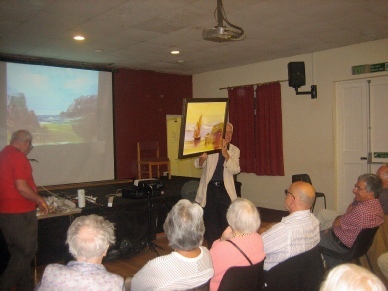 The demo was peppered with anecdotes and 'arnoldisms'... which were insightful and amusing. 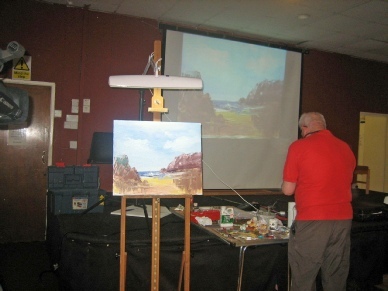 The finished painting was auctioned at the end of the night, the proceeds going to Velindre Hospital. 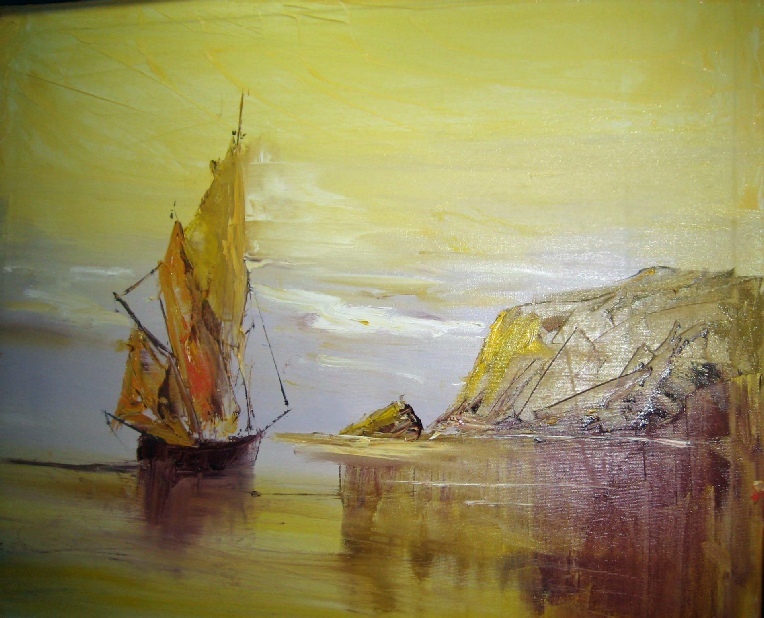 Thank you Arnold Lowrey for another superb evening.